AG SoCal School of Ministry -- Money Back, Guaranteed! For many people, the fear of educational debt keeps them from pursuing ministry credentials, but that's not the case with Southern California Network's School of Ministry! This Doctor Makes Church "House Calls"
When a Spanish-speaking church in Southern California needs help, Dr. George Winney goes to work! 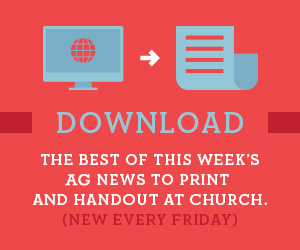 The trend of more nonwhite AG adherents and congregations in the U.S. continues.